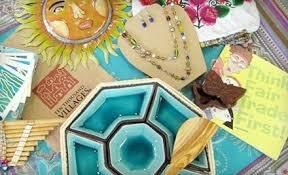 Located in Raleigh’s Cameron Village, Ten Thousand Villages is a nonprofit, fair trade retailer, offering handicrafts by artisans in more than 30 countries. Products include everything from home and garden decor to jewelry, musical instruments, food and more. Product sales help pay for food, education, healthcare and housing for artisans who would otherwise be unemployed or underemployed. As one of the world’s largest and oldest fair trade organizations, Ten Thousand Villages has spent more than 60 years cultivating trading relationships so that artisans may receive a fair price for their work while offering consumers access to distinctive handcrafted items. Visit their website here. ReTails Thrift Shop is owned and operated by AnimalKind, a 501(c)3 nonprofit organization. When you shop, 100% of the net profits from ReTails Thrift Shop go towards supporting AnimalKind’s pet spay/neuter programs, THE $20 FIX, and the SpayNC Helpline. THE $20 FIX enables low-income pet owners to spay or neuter their pets for $20 or less. The SpayNC Helpline (1.888.NC.FIX.EM) helps residents throughout North Carolina find spay/neuter resources in their area. Visit the ReTails Thrift Shop website here.